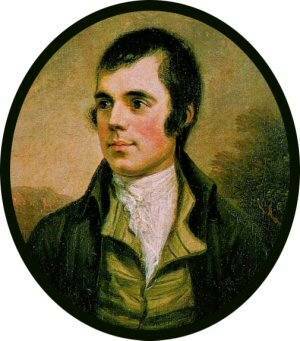 This year’s annual Geese and Fountain Burns Supper – commemorating the great Scottish poet Rabbie Burns (and providing us all with a cracking excuse to drink whisky and eat delicious food) – will be on Friday 26th January 2018. Last year’s Burns Supper was great fun, and this year promises to be even more fun – with the great Bill James joining us to provide a bagpipe accompaniment to the proceedings. Guests will be piped into the pub at 7pm, and will take their seats for dinner to commence with the Selkirk Grace at 7.20pm. After the starters are cleared, the traditional ‘Address to a Haggis’ will be recited as the Haggis is piped from the kitchen and presented to diners. Following the remainder of the meal, guests will enjoy the ‘Toast to His Immortal Memory’, the ‘Toast to the Lassies’ and the ‘Reply to the Toast to the Lassies’. If you’d like to volunteer to recite or perform some of Burns’ work during the evening, please get in touch. The full menu is below, with classic Scottish dishes including a vegetarian option for every course. Book now.